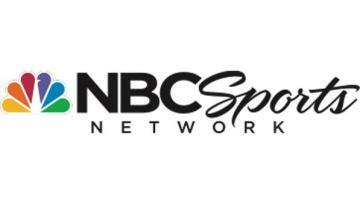 Ratings for the NBC Sports Network have tanked without the NHL. Over the last month, the top-rated programs on the network have consistently been outdoors shows, with hunting and fishing features taking up 14 of the top 20 highest rated timeslots this month. There were just two programs that drew over 200,000 viewers: bonus coverage of the 49ers-Patriots game on December 16th (1.2 million viewers) and a live boxing card on December 8th (216,000). To put that in perspective, ESPN2's coverage of the Crossfit Games gets 200,000 viewers. NBCSN's studio shows have been even worse for the network than their lackluster slate of live events without the NHL. No studio show in December drew 100,000 viewers, and the Dan Patrick Show has consistently finished with under 50,000 viewers for their top airings… which is the hour-long "Best Of" episode in the afternoon. The Lights hasn't been able to crack 30,000 viewers, while NBC Sports Talk hasn't broke 50,000 viewers for an episode while falling as low as 24,000 viewers. Pro Football Talk and NFL Turning Point have done better for the network, regularly drawing over 50,000 viewers but just one airing of either show finished in the top 20 for the week in the month of December. Despite having the NBC promotional machine behind it, NBC Sports Network had a rough 2012. If it weren't for their coverage of Olympic events in August, I'd wonder just how bad the cumulative ratings for the year are. I'm sure that the brass at NBC would love to wipe the slate clean of the remnants of the Outdoor Life Network and start fresh with a schedule loaded with live events and original programming, but that's proving much more difficult than originally imagined. The peacock is in a tough place right now. If they want more people to start taking them seriously as a destination network, they need to transition away from the outdoors shows. However, in doing that, they're losing their consistently highest-rated programs, and could run the risk of falling further into the abyss.